It’s a spread that Little Red Riding Hood would be proud to take to grandma’s house – as long as she can resist sampling the goodies along the way. This is imaginary play at its most satisfying. 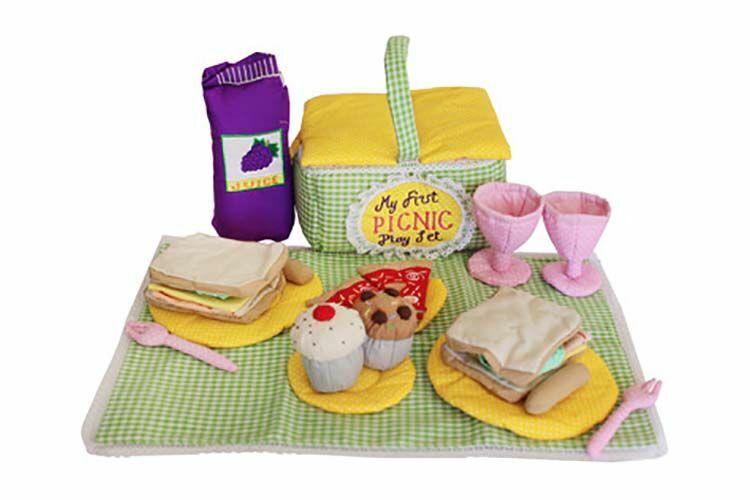 Plates, cups and cutlery, sandwiches, sausages, juice, cupcakes and pizza slices are kept in their own basket as part of the Dyles Soft Play Picnic Set, which has a gingham picnic rug to help set the scene. Available from The Corner Booth ($60).